SJ Business - template designed SmartAddons. It is designed for websites accented on business presentation and promotion of all kinds of commercial services and projects. The template is equipped with 40 module positions and 6 module color settings. Layout design features elegant and respectable style. Thanks to additional extensions poster turns functional and practical to use. Navigate the site easily help K2 component and lots of extensions from development studio. 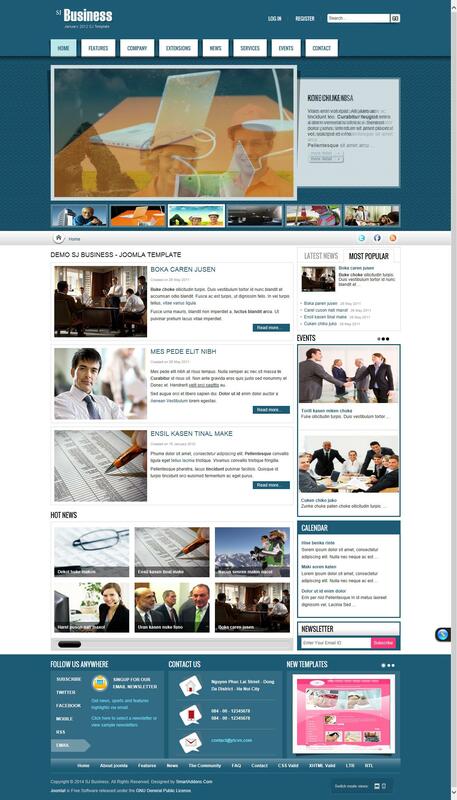 SJ Business template works fine on all mobile devices and tablets, supported by all browsers.